Full HD 1080p at 60 fps, 30x Zoom Lens. 360-Degree Sphere Vision. Built-in Wiper and Defroster. Wind load durability 216kmph = 60m/s (operation) and 288kmph = 80m/s (non-destructive). i-SAS (Image Stability Augment System) for high-class image stabilization. 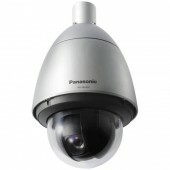 “Sphere P/T” provides 360° 3D viewing (Pan: 360° endless, tilt: 90° to -180°). Operating temperature -50° to +60° Celsius. 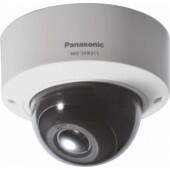 IP67, IP66, IK10 certified. 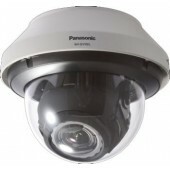 Optional IR LED light (up to 150m/492ft, zoom interlocking). Light weight body 8.0Kg with glass fiber body. Anti-salt air corrosion protection ideal for seaside operations. 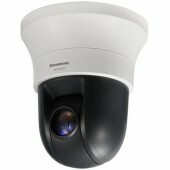 Anti-severe weather PTZ network camera. Temperature -50 ºC to +55 ºC. Full HD (1080p) 60 fps, x30 zoom lens. Built-in wiper and defroster. Wind load durability 60m/s (operation) 80m/s (non-destructive). Video SAS (Stability Augment System) for high-class image stabilization. 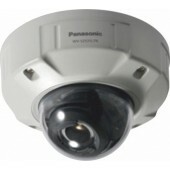 IP67, IP66, IK10 certified . 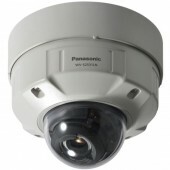 Optional IR LED light (up to 150 m, zoom interlocking). Glass fiber light weight body for quick and easy installation. Anti-salt air corrosion protection ideal for seaside operations. SD-Card embedded. Natural Silver. Full-HD 1920x1080 60fps. ClearSight Coating. 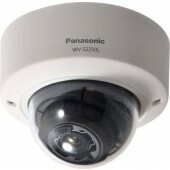 Durable Pan/Tilt gear mechanism. iA (intelligent Auto). Extreme Super Dynamic 144dB. Color night vision (0.001 to 0.015 lx). IP66, IK10 certified. Wider operating temperature range -40°C to +60°C (-40°F to +140°F). 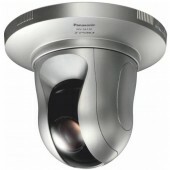 This Full HD (1,920 x 1,080) / 60 fps PTZ Network Camera is based on the concept of "i-PRO EXTREME". Full-HD 1920x1080 60fps. Intelligent Zoom Stabilization with 40x optical zoom. ClearSight Coating is a special coating applied to the surface of the transparent cover that makes it difﬁcult for water droplets to adhere to the dome cover. 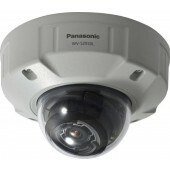 Durable Pan/Tilt gear mechanism. Intelligent Auto (iA) feature provides increased discernibility even in environments with poor visibility. Extreme Super Dynamic technologies deliver 144 dB wide dynamic range. Color night vision (0.001 to 0.015 lx). IP66, IK10 certified. Full-HD 1920x1080 60fps. Intelligent Zoom Stabilization with 40x optical zoom. ClearSight Coating. Durable Pan/Tilt gear mechanism. iA (intelligent Auto). Extreme Super Dynamic 144dB. Color night vision (0.001 to 0.015 lx). Salt-air corrosion resistant. IP66, IK10 certified. Wider operating temperature range -50 °C to +60 °C (-58 °F to +140 °F). HD 1280x720 60fps. Intelligent Zoom Stabilization with 40x optical zoom. ClearSight Coating. Durable Pan/Tilt gear mechanism. iA (intelligent Auto). Extreme Super Dynamic 144dB. Color night vision (0.0007 to 0.011 lx). IP66, IK10 certified. Wider operating temperature range –50 °C to +60 °C (-58 °F to +140 °F). Full-HD 1920x1080 60fps. 40x optical zoom. Durable Pan/Tilt gear mechanism. Intelligent Auto (iA) feature provides increased discernibility even in environments with poor visibility. Extreme Super Dynamic technologies deliver 144 dB wide dynamic range. Color night vision (0.001 to 0.015 lx). 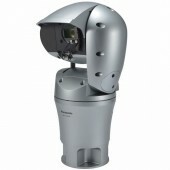 True 4K Anti Vandal Outdoor Surveillance Camera. 4k optical 6 x zoom lens. 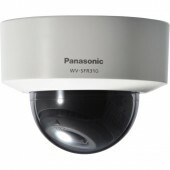 12MP high sensitivity sensor for 4k security camera. High resolution, more than 2000TV lines. Rain wash coating for clear view in any weather condition. 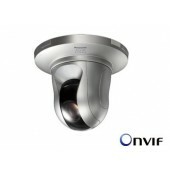 Smart IR-LED for visibility in any light condition. 4K ultra engine. Smart DoF (Depth of Field). 5-megapixel images up to 30 fps. iA (intelligent Auto. Super Dynamic 120dB. Color night vision (0.0044 to 0.07 lx). H.265 Smart Coding. FIPS 140-2 Level 1 compliant. Full HD 1080p 60fps. iA (intelligent Auto). Extreme Super Dynamic 144dB. Color night vision (0.0008 to 0.012 lx). H.265 Smart Coding. FIPS 140-2 Level 1 compliant. Full HD 1080p 60fps. iA (intelligent Auto). Extreme Super Dynamic 144dB. Color night vision (0.0008 to 0.012 lx). H.265 Smart Coding. FIPS 140-2 Level 1 compliant. Clear Sight Coating. 5-megapixel images up to 30 fps. iA (intelligent Auto). Super Dynamic 120dB. Color night vision (0.0044 to 0.07 lx). H.265 Smart Coding. FIPS 140-2 Level 1 compliant. iA (intelligent Auto) H.265 Network Camera with tele lens. Full HD 1080p 60fps. iA (intelligent Auto). Extreme Super Dynamic 144dB. Color night vision (0.001 to 0.015 lx). H.265 Smart Coding. FIPS 140-2 Level 1 compliant. Clear Sight Coating.